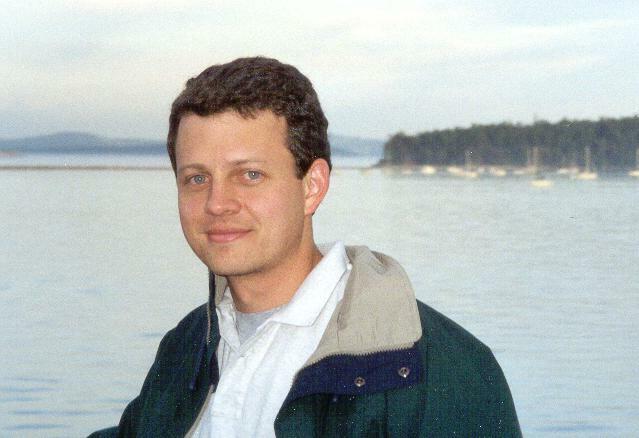 On a ferry heading back to the U.S.A. from Victoria, B.C., August 1999. 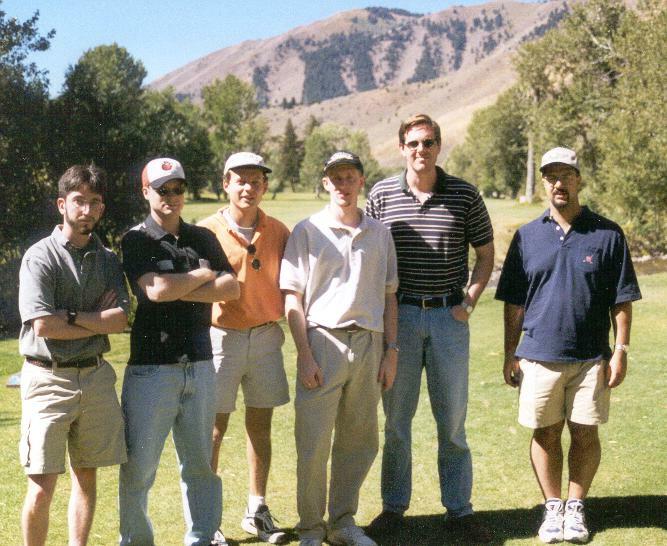 With a bunch of friends from Duke at Steve's pre-wedding golf extravaganza, September 1999. 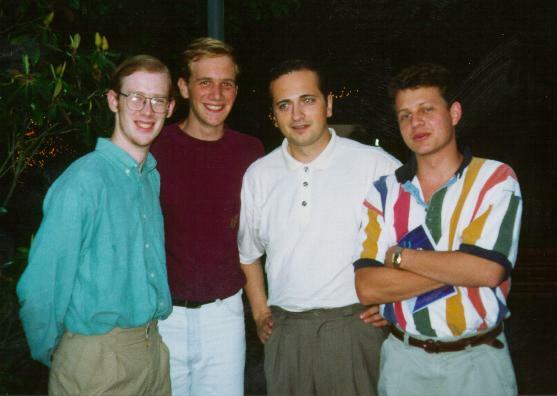 With the three guys with whom I started Transworld Numerics, Inc., May 1995. 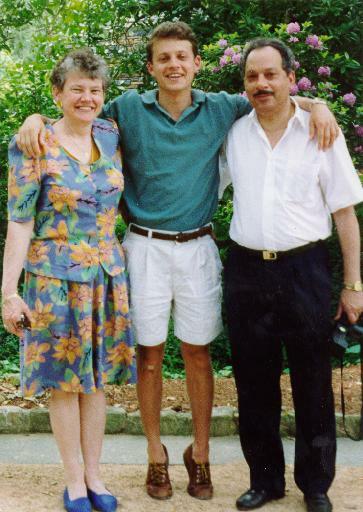 At Graduation from Duke University, in the Duke Gardens with my parents, May 1995.